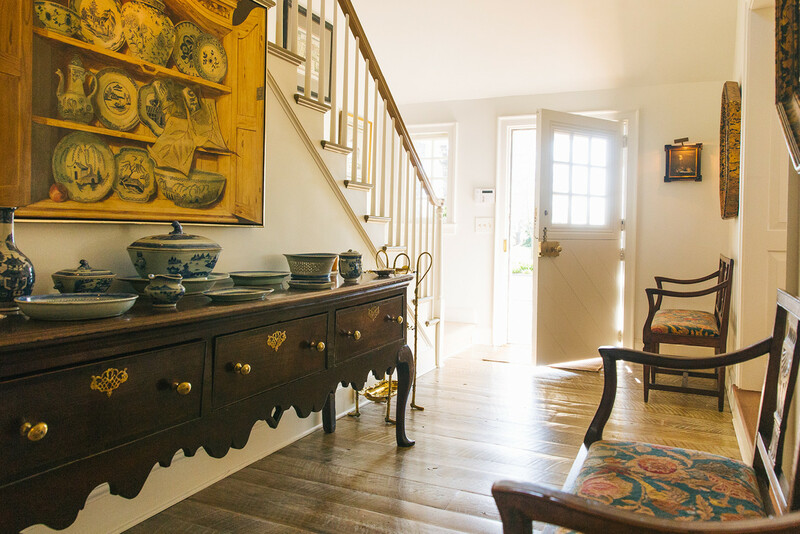 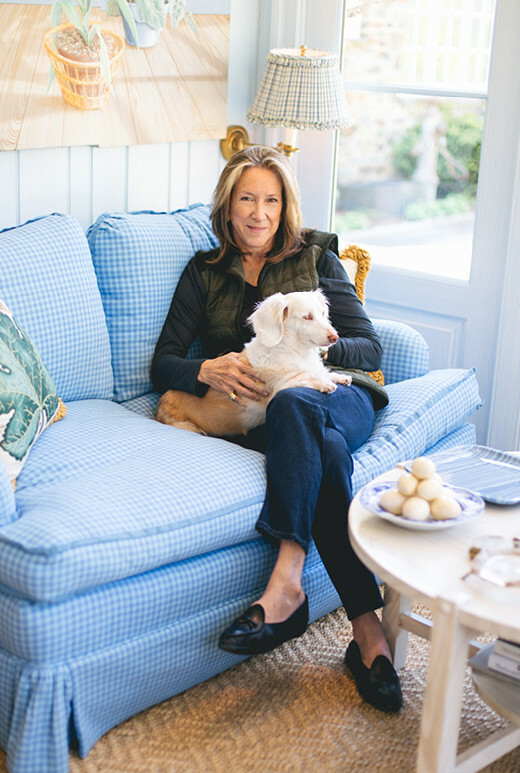 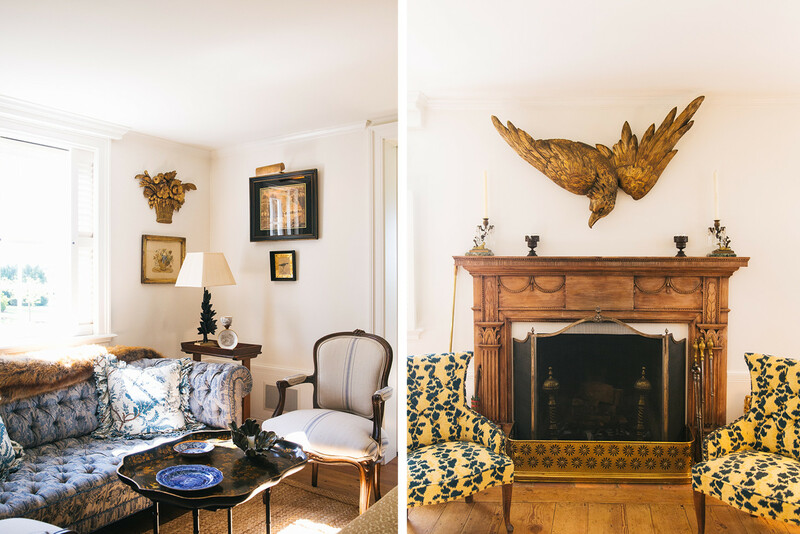 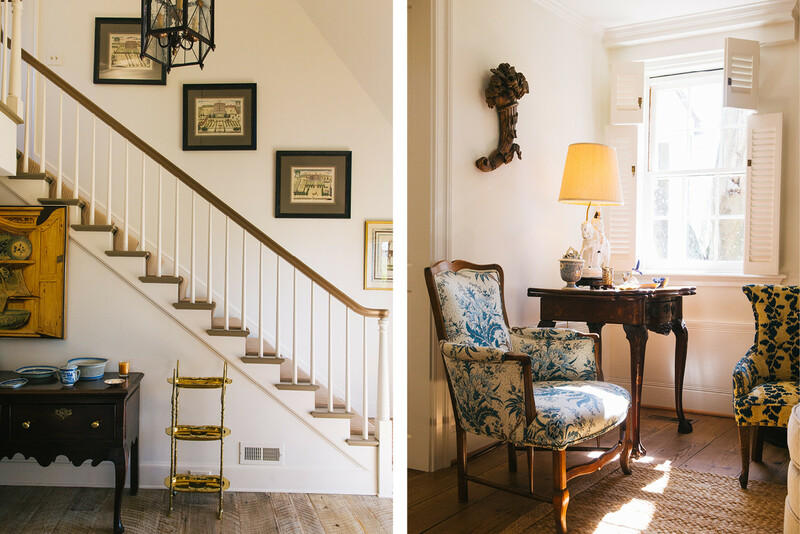 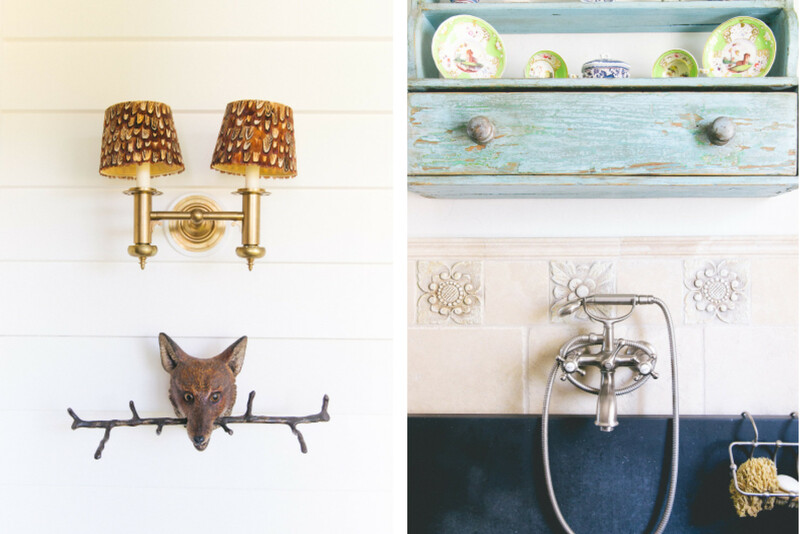 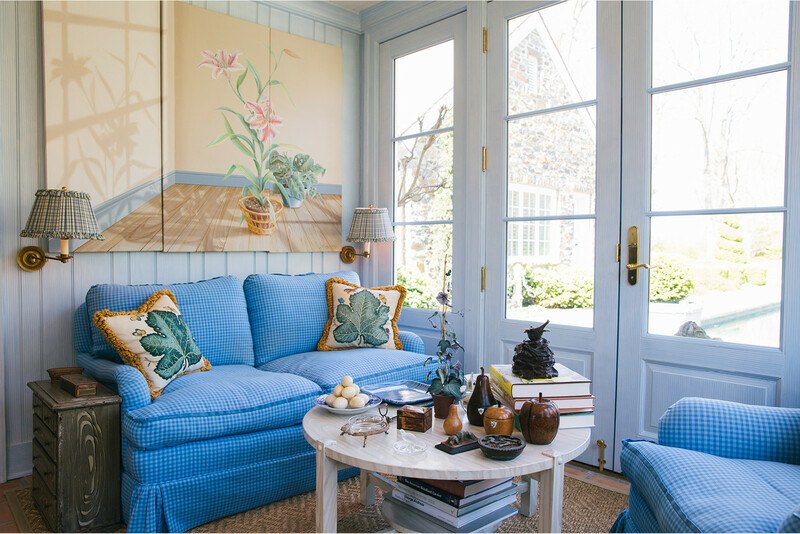 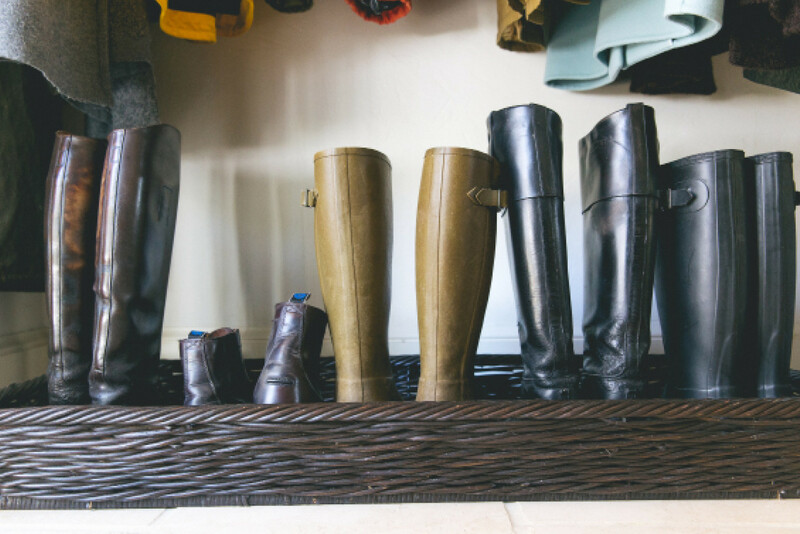 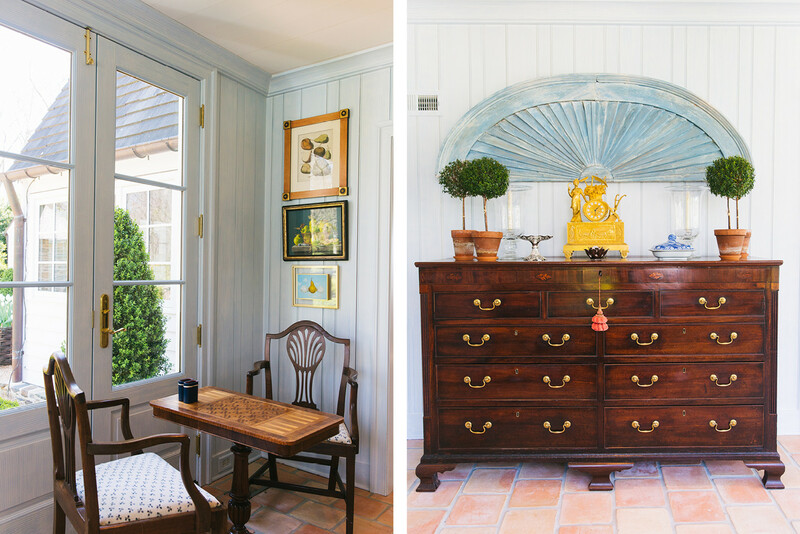 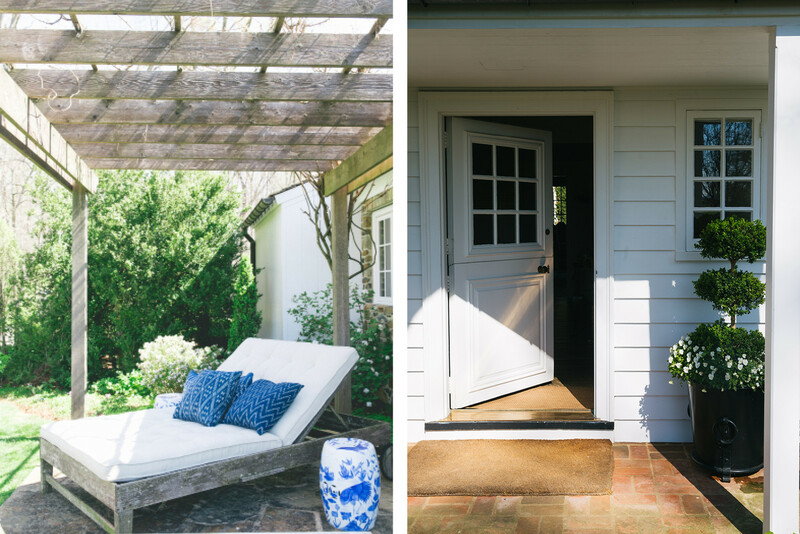 We took a home tour of interior designer Jeannie Perin's gorgeous Virginia estate. 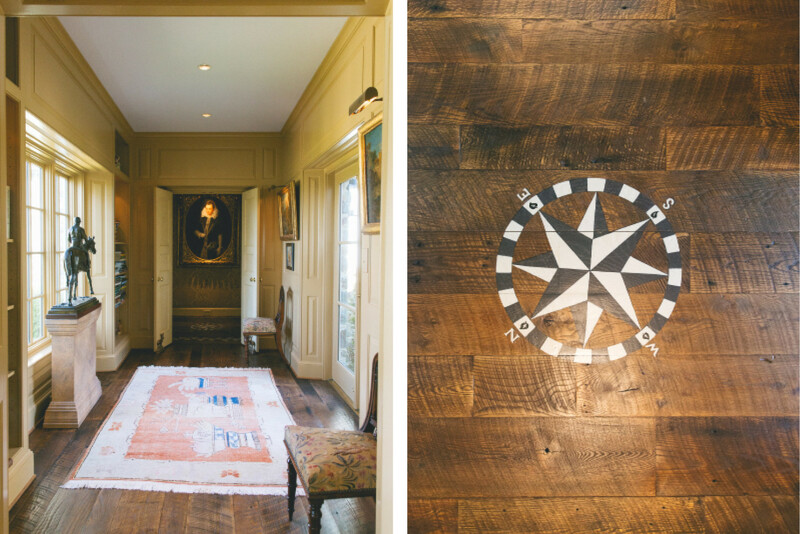 The perfectly imperfect, “Edgewood” exudes the adventurous and refined spirit of its world traveled designer. 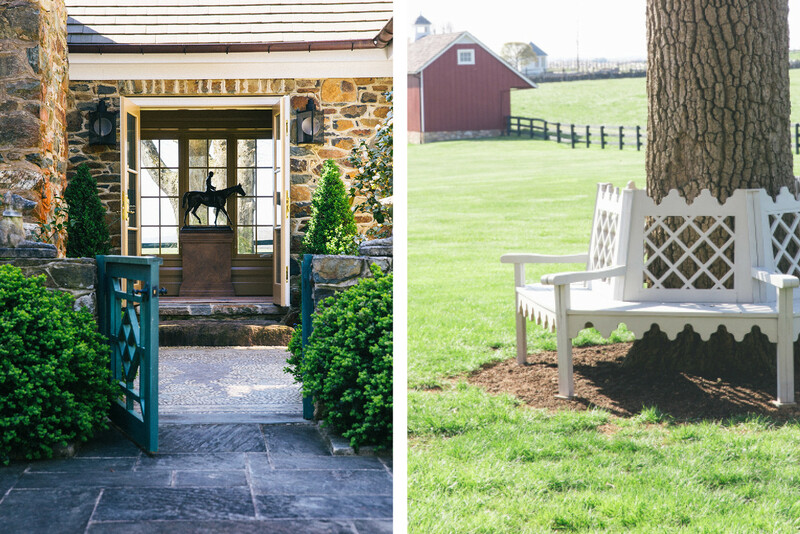 With the Blue Ridge Mountains as its backdrop, the estate hosts a beautifully renovated 19th century log cabin at its core, once a “Hunt Box” owned by fox hunting connoisseur Mr. Paul Mellon and acres of wandering formal gardens all planned by Jean herself. 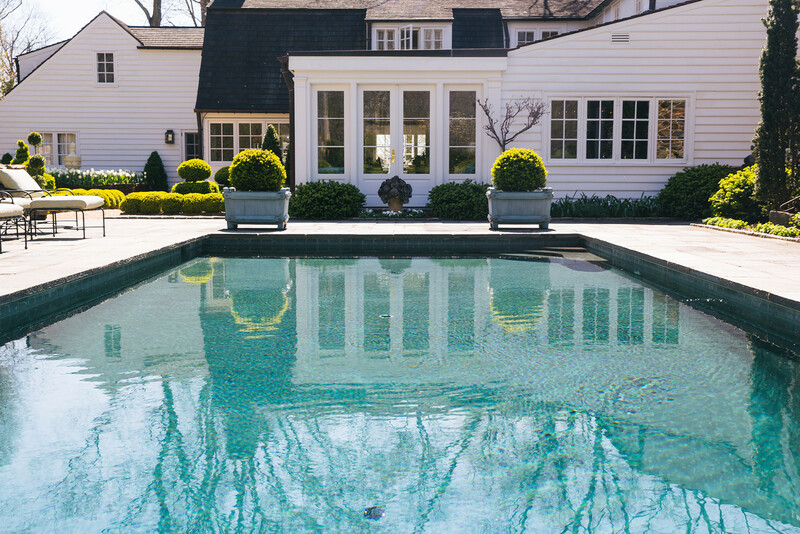 We instantly felt we were abroad when setting foot on this breathtaking estate. 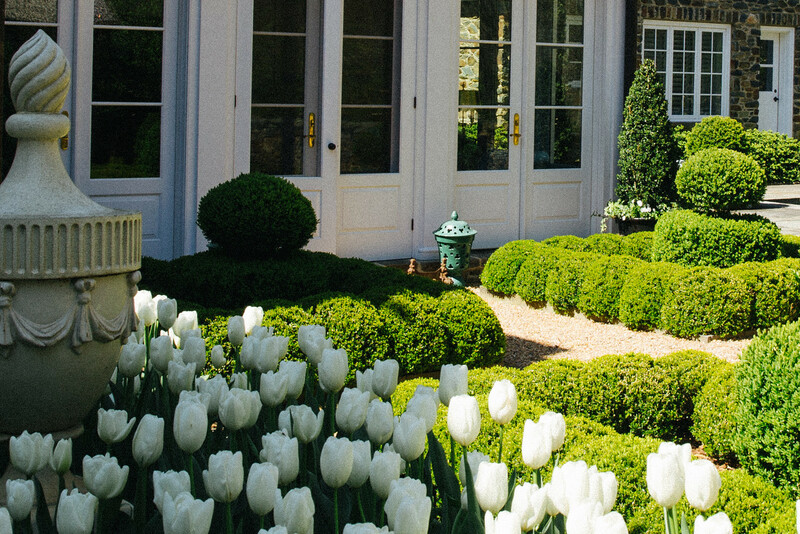 The crisp green and white color scheme, structured boxwoods, blooming tulips and countless ornaments found on the designer’s European travels placed throughout the gardens make you feel as if you’ve entered the English or French Countryside. 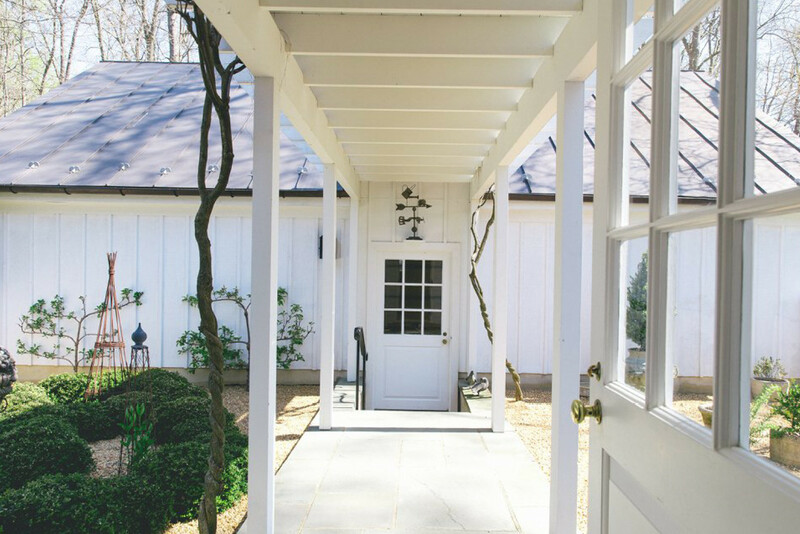 Although recently modernized with floor to ceiling glass doors and clapboard and field stone additions, the house maintains its country charm, always keeping nature in site and a warm welcoming spirit to visitors old and new.